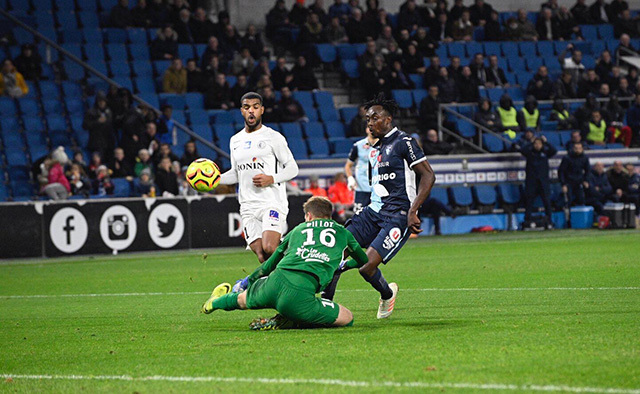 LE Havre striker Tinotenda Kadewere has promised more goals after scoring an opener for his team in a 2-1 win over Chateaurox on Tuesday. “I am just happy to score. It feels great knowing that you led your team to victory. “I am so happy to have scored an opener and I can’t really explain how l am feeling but it’s amazing to have done that for my team,” he said. Kadewere scored his first goal in his second appearance since joining the Ligue 2 side having been on the sidelines due to injury. “This is my second game and I have been training hard to play well for my team and I think I have been given that opportunity by the coach. “I also hope that I will keep on being in the form that I am right now,” he said. The Zimbabwe international striker said he wants to help his club do better. “There are still more games to play and that mean more chances of me scoring. Kadewere joined Le Havre from Djurgardens in July. “Right now l am just looking forward to just enjoy this season and have a great time and better season,” he said. “Getting a place in the team is not so difficult if you just manage to work hard. If you dedicate yourself and work hard getting a place in the team will not be hard for you. “So far I haven’t reached my targets because I am still way short of my targets. “I also aim to prove my worth in this team, like any other club one has to prove himself to be here,” he said.